By observing the effects of head trauma and brain injuries, physicians and scientists noticed that each part of the brain is in charge of certain activities. 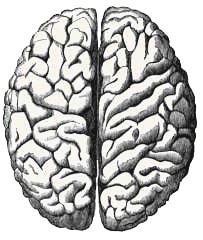 The brain is divided into two hemispheres known as the left brain and the right brain. These two parts in normal people communicate with each other; however, each part has its own abilities and methods. In many people one side of the brain is the dominant side and that side has a higher influence on behavior, abilities and individual characteristics. Which side of your brain is the dominant side? In this project you will study brain hemispheres dominance and how they affect personal characteristics. You will conduct experiments to identify left brain dominant individuals from right brain dominant individuals. You may finally use your gathered information to determine the ratio of right/ left brain dominant people. More information or support on this project is available for the members of ScienceProject.com. No specific material or equipment is required for the experiments of this project; however, it is good if you have access to a computer, printer and some papers for your data recording. The brain project or the model of brain from MiniScience.com may be a valuable complement to this project.